While there was some buzz, I wonder if most people fully understand the meaning of Google’s announcement that they will no longer support the GMAIL app for Blackberry. HP has already exited the mobile battle (phones and tablets). The Google announcement shows how far RIM has fallen. RIM’s tablet is a non-starter. iOS5 adds a lot of the functionality of BBM. You have to ask yourself what makes Blackberry special. If Blackberry is just another smartphone then Android and iOS are more compelling. Apple has broken RIM’s hold on the corporate world. That wall has been breached. I wish I had good advice for RIM but it may be too late. Pioneer announced the AppRadio a few weeks back . You can read about it here. I got excited at first. I thought they had really integrated the iPhone into the radio. Instead it runs its own apps. I want it to display my iPhone on a screen in my car so that I run the apps on my iPhone. I don’t need yet another device to get apps for. I want to run the ones I already have on my iPhone. I was kind to Mulally in my last post. That’s because I feel he is pushing Ford in the right direction. Still, will someone please “get it” that the phone is primary and the car should include an interface to the phone rather than duplicating the smartphone’s functionality? I mentioned that Mango showed that Microsoft could come on strong once they recognized they were behind. I saw a few unexpected features in Mango and it gave me hope that Microsoft was still in the game if very far behind. However, with the release of more information about Windows 8, I am truly surprised. Microsoft really gets it. They see the need for a unified OS across platforms and for a transparent user experience. Furthermore, Microsoft is using its strength on the desktop to leverage itself into the tablet and phone space. This isn’t my pick for the easiest path in general but it is the easiest and best way for Microsoft. 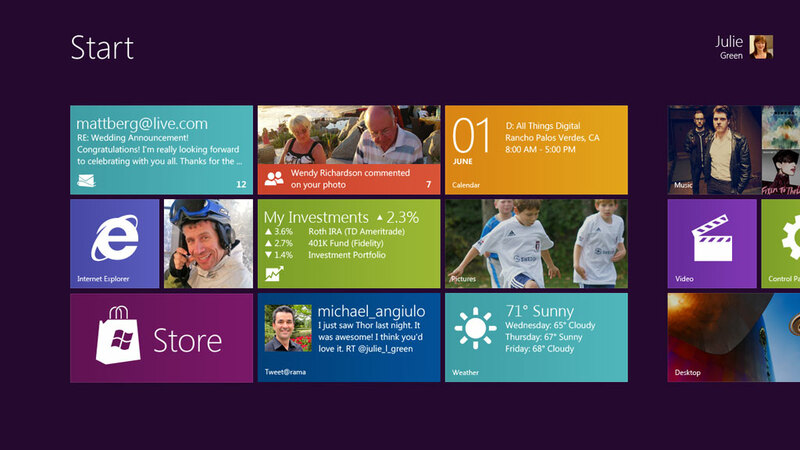 More than other releases, Windows 8 will be about an aggressive business strategy. I love it when business, the consumer, and engineering mesh at such an intimate level. Windows 8 is important on several levels. First, let’s start with the fact that it will not only run on X86 CPU’s but on ARM. Wow! Let that sink in. This means Windows on a CPU that isn’t compatible with the Intel X86 architecture. There will be no emulation layer so current X86 apps won’t run on ARM based hardware. However, this is important in and of itself. Microsoft will be encouraging developers writing lighter apps to write in Java and HTML5 so the apps will be independent of the CPU used. Add this to Apple toying with the idea of an ARM based MacBook Air and you know why Intel is nervous. The next surprise is the breadth of Windows 8. It is really a tablet OS where the mouse and keyboard can substitute for touch. You read that correctly. The OS is, in many ways, a tablet OS first and a desktop OS second. This doesn’t mean a compromised desktop OS. What it does mean is an OS with touch infused throughout. The same OS will run on tablets, laptops and desktops. Next I have a picture of the home screen from a phone running Windows Phone. Do you see what I am excited about? Just like Apple, Microsoft is making the desktop OS look and feel like the phone OS. Do you believe me now when I talk about the push for transparency of the computing experience? Now go back to the comment above about Microsoft pushing for apps written in HTML5 and Java. Those will be easy to port to Windows Phone and vice versa. Microsoft may be late but they are coming on strong. What does this mean on the business side? Obviously the push onto ARM is a threat to Intel and AMD. In terms of the other hardware and software players here is how I see it. RIM is in an increasingly bad position. They have zero desktop presence and Microsoft is stronger in the corporate world than RIM. Windows 8 might seem independent of RIM’s Blackberry world but, in actuality, it has the potential to do great damage. HP may take a hit too. They are betting a lot on WebOS. I don’t see what the value add is for WebOS. Call this one more wait and see but be skeptical. HP could quickly shift to being Windows 8 centric if need be. Heck, they are Windows centric today. Apple probably fairs OK in the near term. Longer term they might lose some of their momentum. However, I see Apple as the best positioned against Windows 8 if they can continue to move towards merging iOS and OSX. I’m still very strong on Apple. Next up for Apple is iOS 5 and iCloud which will be announced next week. Windows 8 could be problematic for Google. I have trouble believing in Chrome as a desktop OS. Google will still be ahead in the TV space but compared to Microsoft and Apple they lack the desktop. Android is the largest selling smartphone OS and we are about to be inundated with Android tablets including some excellent ones such as the Samsung 10.1. I still see Microsoft being behind Google but it is a lot more interesting than it was a day ago. Apple just made iWork available on the iPhone in addition to the iPad and OSX devices. Microsoft will have Office running across all devices. Will people buy into Google’s idea that web based solutions are the best answer for their productivity apps? People may but only if Microsoft screws things up. Then again, Microsoft mucked things up in the past with poorly conceived products like Works. I was reading about the Asus Padfone and it got me second guessing some of the things I have written. Am I wrong that the phone will be primary with a wireless link to other display devices? Or… perhaps I am correct and these are just steps along they way. That happens when a trend is major as I previously discussed. The problem with my solution is battery life. What the Padfone brings is the large battery in the tablet. Having a full time high bandwidth link will require major improvements in battery technology. That will come but it isn’t here right now. Perhaps each device should be able to stand on its own. If so then what happens to my dream of the phone as the central device? It stays alive in a modified form. Rather than transmitting the display perhaps the devices are sync’d so each has the same programs and all that needs to be transferred is current status and data. This will minimize data transfer and hence battery consumption. Switching from device to device won’t be quite as seamless but the basic idea will be there. As battery technology gets better we will eventually reach full integration but right now we’ll have to be satisfied with incremental steps. As I’ve said before, this is going to be interesting and a lot of fun to watch.